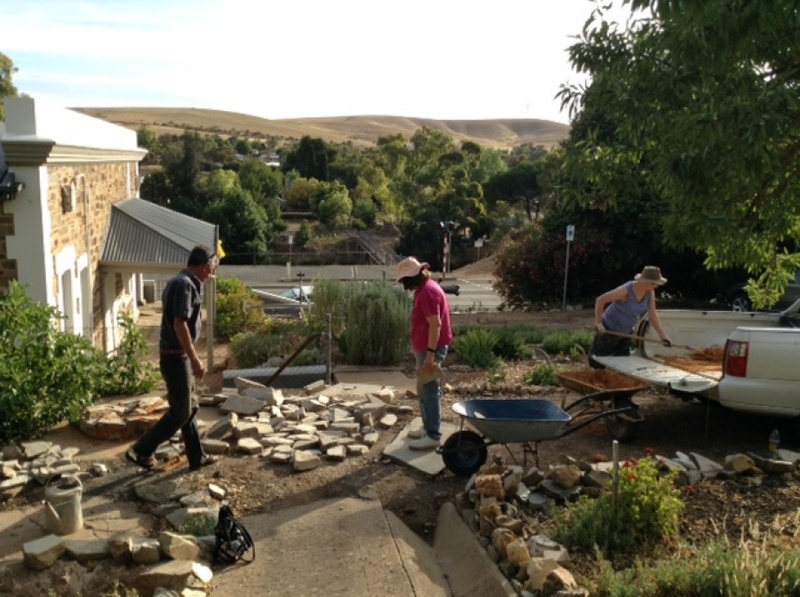 We, that is a group of four of us, are working on a two year arts project called Down to Earth, the first part being working with communities the second creating artworks for Burra- on 5 sites. We decided to use the iconic imagery of the chimney and started on our first project today- yes a day of extreme heat- but we started and stopped very early. Chimneys pop up in the landscape throughout Burra, both the mine's enormous stack and dotted along the riverbanks, where miner's had dugout cottages.